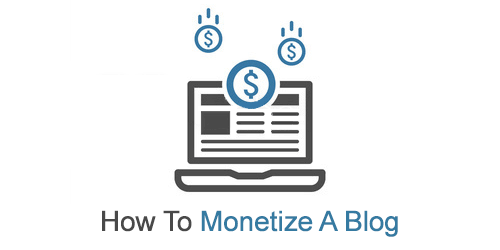 Believe it or not, ads are not the only way to monetize your blog. Many of the most profitable websites do so by opting to offer valuable products and services. These products or services are targeted to their readers that have an incentive to purchase. Not banner ads that can be annoying, intrusive, and unprofitable. In some cases, toxic to your website. Below we’ll review just a few of many ways you can monetize your content that you could put to use today! The key here is choose wisely. Which of the following options makes sense to your website? Apply them without being intrusive. Test out any idea that interests you. The rule of thumb is to know your audience. Don’t force anything. Always advertise something that is similar to the content on your website. At some point, you are going to mention a product in your content. If you’ve made it a year into publishing without doing so, my hat is off to you, you strange individual. An affiliate program is when you send another website traffic. If the traffic you refer to them ends up purchasing a product or signing up for a service. You get a commission on that sale. There are dozens to choose from but a good place to start is Amazon Associates. They are easy to use, accept pretty much anyone, and pay out pretty well all things considered. Another great one and probably the biggest affiliate network is Commission Junction. They have all types of products, services, and big companies. That are willing to pay you a percent to sell their products. Just remember not to go too crazy with these. You don’t want to link your readers to irrelevant products or a new product every paragraph. Use good judgment and this may just be your most profitable avenue. That is unless you have as good of luck as some people I know. If your blog is generating a good amount of traffic, you may be entitled to do sponsored reviews. A sponsored review is when an outside source will pay you to review their product. In return, you will need to post a well formatted review on your site to your readers. This is one, you have to be really careful with. On one side these might wind up driving away your target audience. Especially if you posts are irrelevant products or clearly subpar ones. On the other hand, a well written informative review, that is relevant to your readers, will make everyone happy. Again there are a lot of services that can make this possible. One your can start with would be SponsoredReviews.com. Your best bet would be selling them yourself. Merchandise is a mighty powerful thing. Just ask any music band that is not signed to a major label. The response is that the majority of their profits come from merchandising. Another example of merchandising is the master of science fiction, George Lucas. The man merchandises everything. He was even able to sell empty boxes with IOUs in them. Take the principals of successful merchandising and apply them to your blog or website. Is there a specific product or service you talk about a lot and could possibly sell to your readers? Put it together a book and sell it on Amazon. Or do you have a loyal fan base that would happily don your logo in public? Print it on a shirt and have people pay YOU to advertise and promote YOU. Win-win-win. Remember: KNOW YOUR AUDIENCE. Don’t go making pink shirts with a pony on them and run a heavy metal blog. And please, don’t sell shirts with the devil on it for your My Little Pony fan blog. Bonus tip: Have contests like "Send Us a Picture and Be Entered To Win." There are a lot of fun options out there when it comes to engaging and entertaining your readers. Think Ebooks. Podcasts. Videos. Donations. Consulting. You can sell a well put together ebook on just about any subject. If it is engaging and worthwhile to your customers. Create podcasts easily with PodBean. Giving your readers content on the go that can be monetized with 30-second radio ads. Make fun or educational videos on Youtube. Apply to become a YouTube partner and you will be paid for your contributions and traffic. Ask your readers for donations. You may just be surprised how may of your loyal readers are willing to throw a few dollars to buy you a beer. Offer your services to other bloggers or your readers. Charge them and make some side money consulting them on your area of expertise. I’ve no doubt there are hundreds of ways to monetize without the need for adding more banner ads. This list barely scratched the surface. How do you monetize your website? If you have some tips without adding more banner ads, post them in the comment section. All of us would love to hear them.